Madonna did the right thing by me. So in one of my pinterest boards, I collect examples of uses of my fonts. Obviously I don’t have every single useage, but often I find examples of people who really should have purchased the font pack (only $20 for eight fonts) which has a Basic Commercial Use Licence attached. Why are the above examples acceptable as personal use rather than commercial use? Or in other words, when is personal use different from a requirement for a Basic Commercial Use Licence (which is attached in the julesart 8 font pack)? Let me explain while using each example. 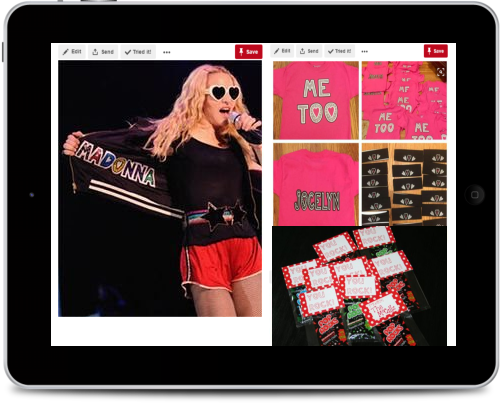 Madonna, while she is world famous and wearing her jacket with MADONNA written with my JulesLove font in front of several large audiences during her Sticky and Sweet tour, is using it personally. She is not selling copies of it. That would be even beyond the Basic Commercial Use Licence. She has used that font for her personal use on one garment. 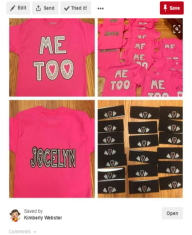 The second example looks to be used for a team called ME TOO with ME TOO on the front written with my font JulesLove and also each person’s name on the back. JulesArt was not asked for permission to use the font, credited for the use of the font except on the pinterest post of the images, neither were we sent a sample of any of these t-shirts. However, this was not a requirement, because even though each person may have paid for the cost of their t-shirt, it really is for personal use by what looks like a non-profit team. Or a team which is not profiting from the use of or sale of garments using my fonts. Either way, this counts as personal use of the free font, JulesLove. So this is perfectly acceptable use of my fonts and I wish the team the best, I hope they enjoyed wearing their lovely pink t-shirts. 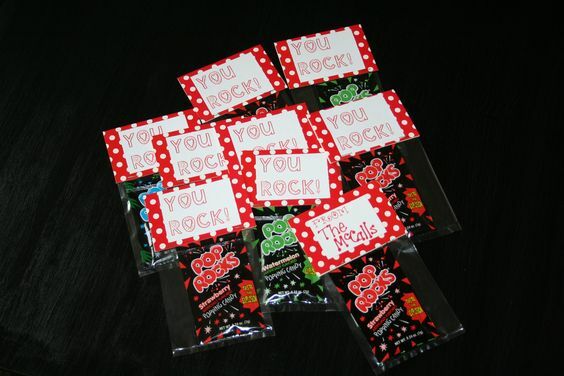 The third example looks like they are goodie bags with the labels written in my JulesLove font, as the words YOU ROCK, given as gifts by The McCalls. They could be halloween gifts, or goodie bags after a birthday party. This is another great example of using the fonts for personal use and I really love how affirming it is. Again, they did not follow the letterware suggestion, but they may well have but it was sent to an old PO Box address. For your information, I’ll tell you the correct address for letterware should you wish to reciprocate for the free fonts by mailing a letter from where ever you are in the world to my daughter written in my fonts. While she is now a young adult, it is still a thrill to receive snail mail. Thanks for reading and considering doing the right thing as you download and use my creations. ← What a Basic Commercial Use of Fonts Licence allows for.